Political campaigns, banners and rallies have stolen the limelight in Zambia as the southern African country heads towards general elections set for August 11. Media coverage has been focused on campaigns for the presidential, parliamentary and local government elections that started on May 16. Supporters of the main political parties, clad in colourful party regalia, are a common sight on the streets of Lusaka and other towns. For the first time, the parties have added branded footwear — and bed linen — to the usual regalia consisting of T-shirts and caps. A total of nine candidates will contest the presidential elections, according to the Electoral Commission of Zambia (ECZ). Front-runners are incumbent president, Edgar Lungu of the Patriotic Front (PF); and Hakainde Hichilema, leader of the main opposition United Party for National Development. Other presidential candidates include former Finance Minister Edith Nawakwi of the Forum for Democracy and Development, who is the only female candidate; Tilyenji Kaunda of the United National Independence Party; and former Justice Minister Wynter Kabimba, who now heads the Rainbow Party. Saviour Chishimba of the United Progressive Party; Peter Sinkamba (Green Party of Zambia); Andyford Banda (People’s Alliance for Change); and Maxwell Mwamba (Democratic Assembly) complete the list of presidential aspirants. According to the new Zambian Constitutional amendment adopted in January, the winning candidate should secure at least 50 percent-plus-one vote unlike previously when the president was elected using a majority system in which the candidate with the highest number of votes was elected, even if they scored less than 50 percent of the valid votes cast. The constitutional changes also introduced running mates for the vice-presidency. In the past, a vice-president was appointed by the president. Elections for vice-presidents will allow them to become president in the event of the incumbent being incapacitated to lead the country. This will enable the vice-president to assume power for the remainder of the incumbent’s tenure. Such a development avoids the need for early elections as was the case last year following the death of President Michael Sata in October 2014. Early elections were also held in October 2008, after President Levy Mwanawasa died in June of the same year. The winning candidate will become Zambia’s seventh president since the country got its independence from Britain on October 24 1964. He/she will serve a five-year term, as will those elected in parliamentary and local government elections. According information from the ECZ, a total of 650 candidates from 13 parties will contest for 156 parliamentary seats, with 90 of the aspirants being women or 13,8 percent of those vying for seats in the National Assembly of Zambia. This does not augur well for the representation of women in the Zambian parliament. A total of 113 women contested in the last parliamentary elections in 2011, with only 17 being elected. This accounted for only 11 percent of the constituency seats in parliament. Presidential appointments increased the number of women in parliament to 23, raising the proportion to just over 14 percent. Among the 650 parliamentary candidates for the 2016 elections are 109 who are contesting as independents. The Democratic Assembly is not fielding any parliamentary candidates although it is contesting presidential elections, while six parties — Alliance for Democracy and Development, Movement for Multiparty Democracy (MMD), National Restoration Party, National Revolution Party, Radical Revolutionary Party and United Democratic Front — only have parliamentary candidates and are not contesting for the presidency. The campaign period was preceded by a voter registration and verification exercise that ended on May25. According to preliminary voter registration figures released by ECZ, more than six million people will be expected to cast their votes in August. 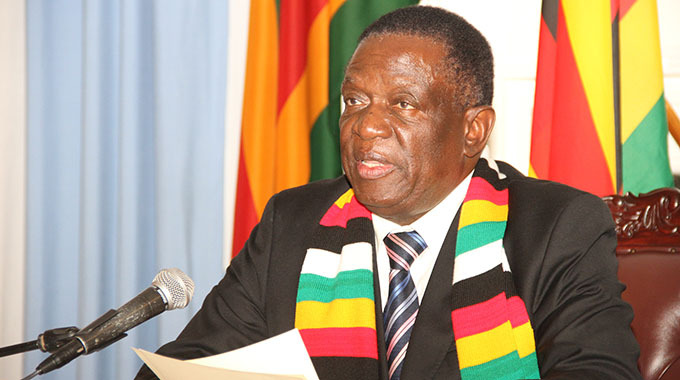 In a presidential by-election held in January 2015 following the death of President Sata the previous year, a total of 5 166 088 people had registered to vote in the landmark election. Previous general elections were held in 2011 and saw the PF winning 61 of the 150 parliamentary seats while its presidential candidate, Sata, was elected President after garnering almost 42 percent of the vote, against 35,4 percent for nearest rival Rupiah Banda of the former ruling MMD and 18,2 percent for Hichilema. Following Sata’s death in October 2014, early presidential elections were held to elect a successor to complete the remainder of his five-year term and PF candidate Edgar Lungu was elected. The 2016 general elections will be held concurrently with a referendum to decide on whether the constitution should be amended to enhance the Bill of Rights as well as repeal and replace Article 79 that deals with issues that need to be put to a referendum. Under Article 79, only the Bill of Rights and the Article itself require the holding of a referendum in order to amend them. The proposal is to broaden the issues requiring referenda, to include changes to the electoral system, the presidential term, election of the vice president, and appointment of cabinet ministers and provincial ministers. The amendment of the constitution is meant to, among other objectives, pave way for the revision of the Bill of Rights to include civil, political, economic, social, cultural, environmental, further and special rights. The elections and referendum will be monitored by regional and international election observers. According to the sadc Secretariat, the sadc Election Observer Mission (SEOM) is expected to be launched on 30 July in Lusaka, Zambia. As per tradition, the SEOM will observe the elections in three phases: the pre-election period, election-day and post-election phases. The expectations of the SEOM would be guided and measured mainly against provisions and requirements of the Zambian Constitution, as well as the sadc Treaty, the sadc Protocol on Politics, Defence and Security Co-operation and the sadc Principles and Guidelines Governing Democratic Elections.